Here we present you this brown tea paper tube packaging box, which is suitable for black tea package as it has an attractive color. This sort of package is made of 350g GSM art paper, which, at the same time, is robust and esthetic. The density of paper makes it solid to protect high-value product inside and the very fine surface and CMYK printing technology give a very exquisite picture, combining all of these, the package can be very magnetic to customers’ views. In this model, the package is used for black tea, but of course there are ways of customization, to make it suitable for multiple foods and beverages. With the same color, you can apply it to coffee beans or cookies, or you can also change the color and design to use this tea paper tube box for green tea. As one of the most professional package providers in China, our job is to offer you the best package with outstanding price-quality ratio. 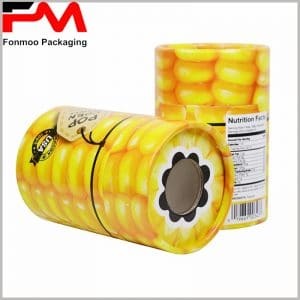 Just contact us and tell us what you need, then we will provide free samples and other good services, then offer you the best tea paper tube packaging box you need.